I was standing outside Waseda University when it suddenly started shaking. “Oh, an earthquake” — I thought. As a Japanese person I am pretty used to them, nothing struck me as odd at first. But after a minute or so it hit. Buildings started swaying, glass in windows made that disturbing rattling sound. It was really long… People who were near entrances or things that could fall on them rushed outside. You could hear some people trying to comfort others “It’s okay, please calm down”, young girls were screaming, I started panicking — I just didn’t know what to do. We all gathered at the station, but the trains stopped running. There were no buses either and all taxis were full. “Why is there no train??? I have a job to do” — you could hear some businessmen screaming at train station officers, who couldn’t do anything. Nobody knew what happened in Iwate and Miyagi. We had no idea about the tsunami. After a few hours my brother came to Takadanobaba Station to pick me up in his car and he told me about everything. I thought it was a movie, I didn’t want to believe him. There were smaller aftershock earthquakes coming one after another. I couldn’t sleep that night, I couldn’t stop thinking about what happened. I was working in a small shop in Mejiro, I was the only person there. After a smaller shake, the big one came and it was really violent. We had a lot of small items in the shop — toys, figurines, small accessories — they started falling from the shelves and lamps started swinging back and forth. I didn’t feel safe anymore, I was scared to the point I started feeling sick. I went outside and I saw other people leaving buildings in a rush. The power poles outside were shaking so wildly! I wasn’t hurt or injured, but it was the very first time for me to experience such a big earthquake. I was so scared… There were no trains, so lots of people chose to walk back home, the roads were really crowded. I had never seen anything like that in my life. When I came back home I quickly turned on the TV. All channels were broadcasting what was going on in Tohoku — the earthquake, the tsunami… I thought it was a dream. A very bad dream. I wasn’t feeling well that day so I didn’t go to school and stayed home with my mom. We live on a high floor in an apartment complex, the tremor we felt when the earthquake hit was really sudden. Our apartment was rocking like a boat. I know what to do in case of an earthquake, we practice it all the time at school… But I would have been so scared if my mom wasn’t with me. I know that my friends, who were at school at the time, couldn’t go back home and spent the night in their classroom. It’s still cold in March, I always think they must’ve been so cold. My dad was working abroad at the time, it was only the two of us — my mom and me. TV showed what was going on in Iwate and Miyagi. I couldn’t stop crying. Aftershocks were strong as well, but fortunately nothing bad happened to me or my mom. I think I should never forget about 3.11 as a Japanese person. Minamisanriku in Miyagi Prefecture. This building with a ton of rubble around it is a restaurant. There are all of these oyster farmers and oyster farms, this place being one of them. Everything in the area was completely wiped out except for this one building. 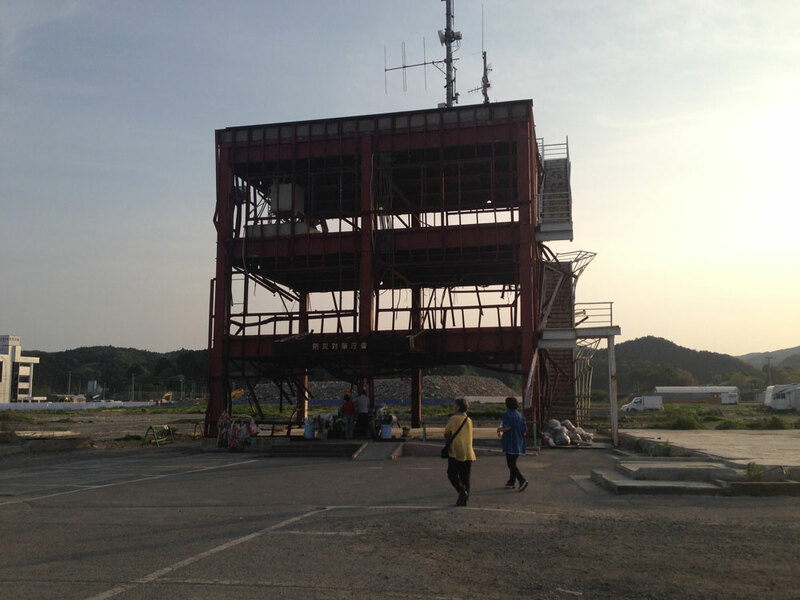 Please search “Miki Endo” to learn about the story of a 25-year old woman from Minamisanriku, who worked in this building. 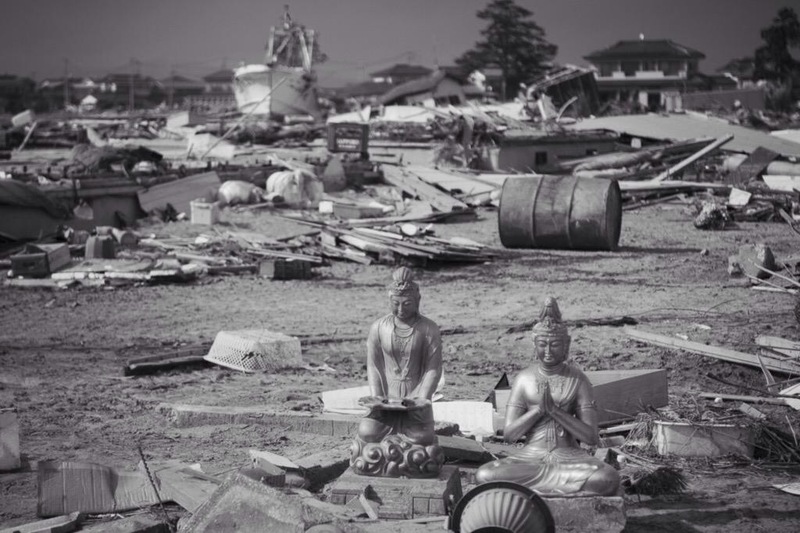 She sacrificed her life to warn others about the tsunami. She never stopped broadcasting the warnings. Nearly empty field just to the east of the building, which is the direction the water came from. I believe the white building you can see is part of what used to be a hospital. I was at school when the earthquake hit. 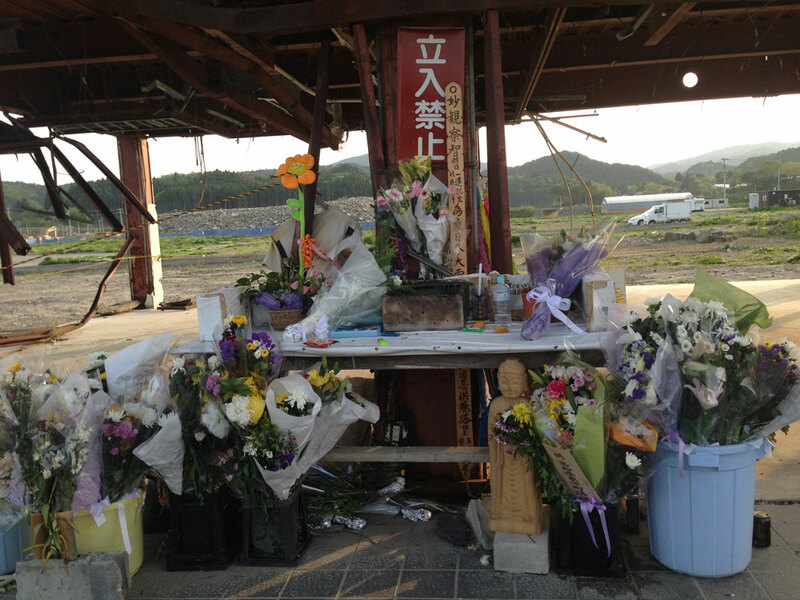 Although Shizuoka is a fair distance from the most affected areas, we felt it here too. Never in my life had I seen power poles swinging as if they were loose — that earthquake was the biggest I have ever experienced. 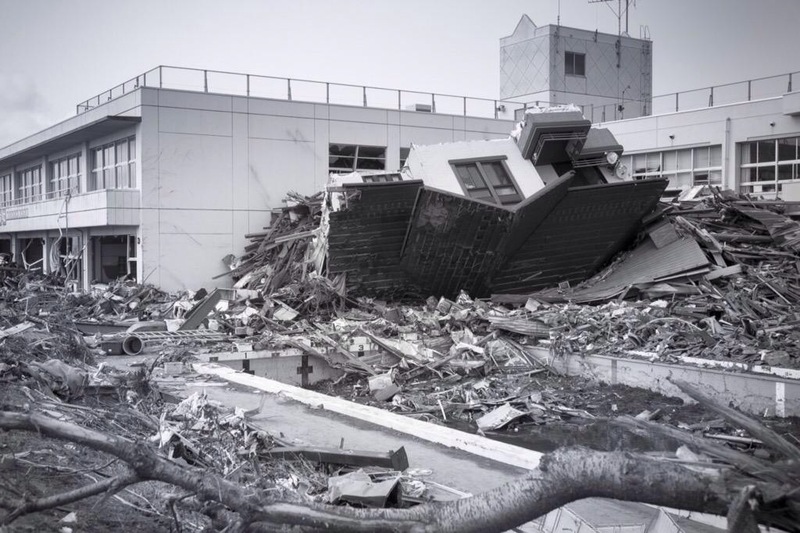 At first I thought it was the Great Tokai Earthquake, which was first predicted by scientists many years ago and they still say it will hit Tokyo one day. I hid under the nearest desk immediately. There was a TV where I was, so I quickly knew about what had happened in the northern part of Japan. TV presenters were reporting the news from a shaking studio and they all were wearing helmets. That’s when I thought it’s like a movie, it couldn’t be real. 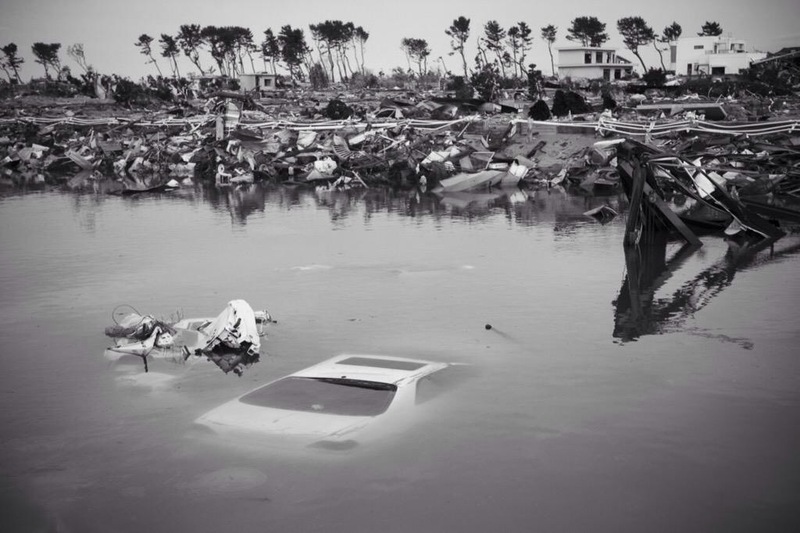 I saw cars and buildings disappearing under water, when the tsunami came. “Is it really happening in my country right now?” — I thought. 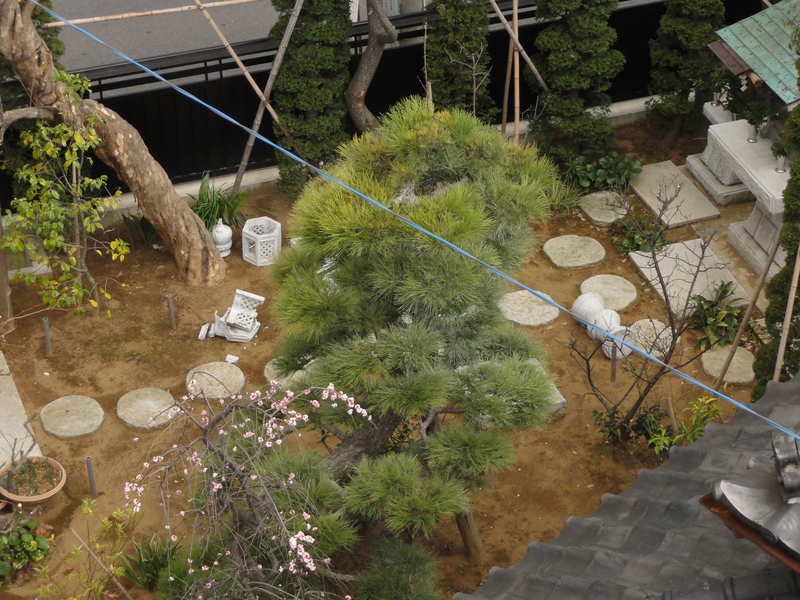 Having experienced the Fukuoka Earthquake in 2005, I know the horror and damage earthquakes brings. I was far from all that this time, I could only see what was happening up there on TV. I felt the significance of this disaster and I thought I could do something to help. I joined a volunteer fundraising group — this is how I could help Tohoku. 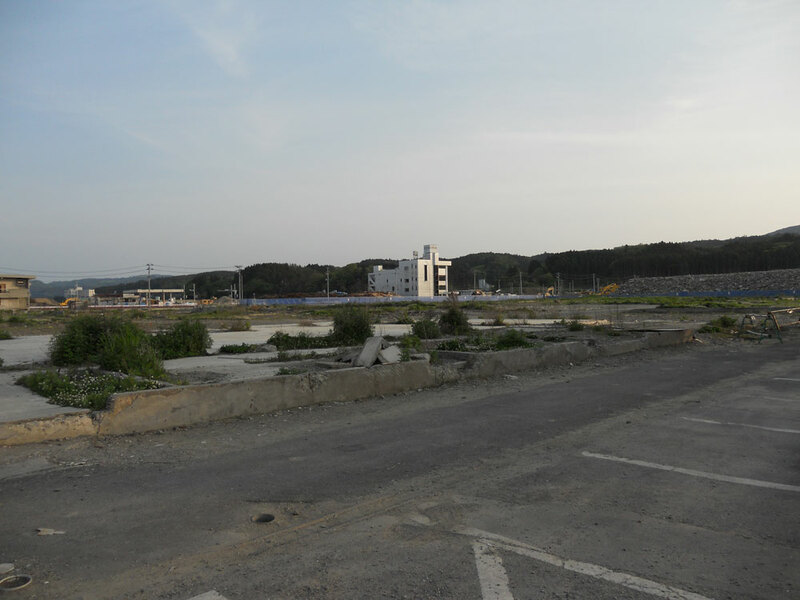 After 4 years the affected areas have pretty much recovered I think… But the wounds in the hearts of Japanese people might never heal. I was working at a shopping center in Okazaki City. It happened to be the day of our annual employee health check, and I was in the middle of an eye test. I was reading letters from an eye test chart… and they started shaking! I thought there was something wrong with my eyes and I told the doctor. But soon people around us started saying “It’s shaking, it’s an earthquake!” — it lasted for about a minute, but it wasn’t big. Actually, when I went back to my office on the 1st floor, nobody even noticed there was an earthquake. I got a break after about 2 hours, went to the lunch room and that’s when I found out. 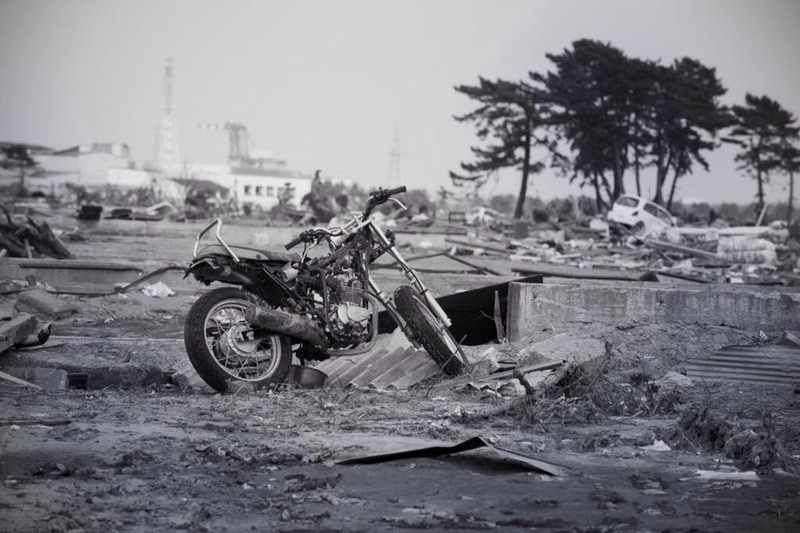 Houses destroyed by the force of a huge tsunami, people stuck in trains and cars, a big wave approaching them, tons of white smoke coming out from the atomic reactor in Fukushima… My coworkers and I were watching TV quietly. We couldn’t say anything, we couldn’t believe it was happening here in Japan. I was in Mito, my hometown. I was supposed to have an interview that day. The earthquake hit two hours before that. I had experienced many earthquakes in my life so I didn’t think it was anything different when it started shaking. But this one lasted so long, and it kept getting bigger and bigger. I don’t know exactly how long it shook but for me it felt like more than 10 minutes. Everything in my house fell on the floor — glasses, small things, all broken. Electricity, gas, water, cell phone signal — all stopped working. Everyone tried to contact their families, so all phone lines were busy. I needed to know how big it was so I went outside. Only a few people were on the street — it was Friday afternoon, of course most people were at work at that time. People on the street told me they had no utilities either. I don’t know why, but I was oddly calm, I was thinking pragmatically — I thought we needed food and water to survive. And so did others. There was a long line of people waiting at the nearest store, which didn’t stop operating even if the electricity was down. To be honest, I thought it had all happened in Tokyo — I feared it had turned into ground zero. 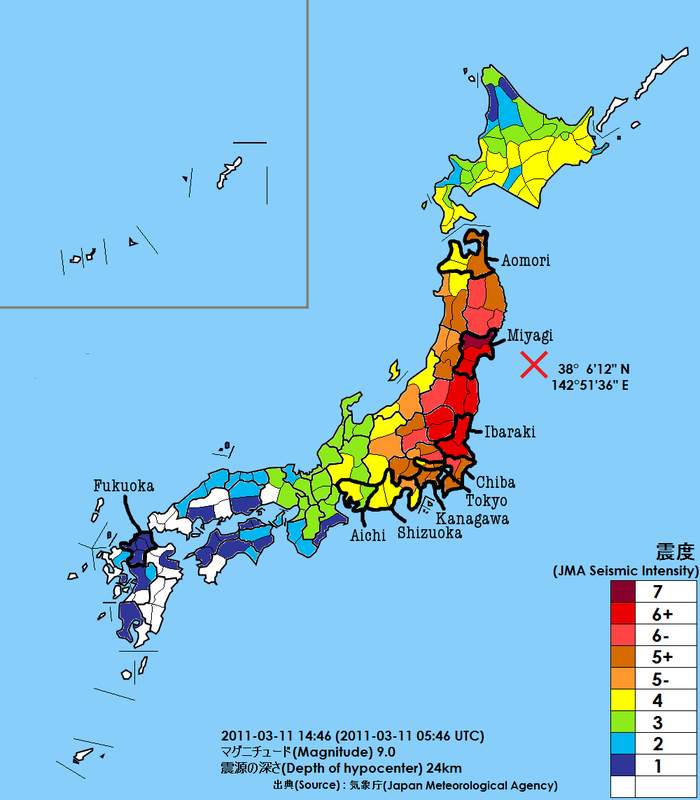 For many years, the media has been warning us about a huge earthquake that is supposed to hit the Tokyo area one day and I thought this was it. 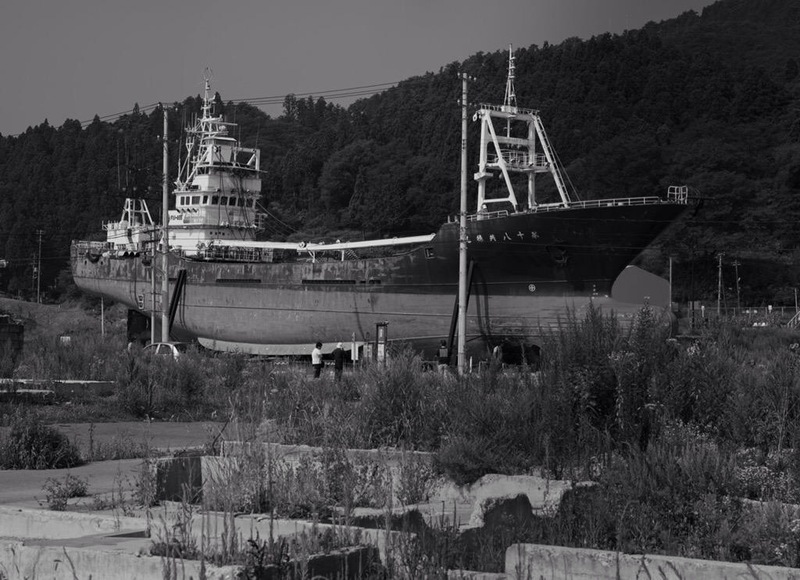 Without TVs or mobile phone reception we had no way to know about Tohoku, and later about the Fukushima nuclear plant. No one around me knew what really happened. I was working on the 16th floor of a company in Kawasaki City. We felt a sudden tremor, but since we’ve had so many safety drills before, everyone just automatically dove under their desks. But the shaking didn’t seem like it was going to stop. I was there, stuck under my desk, with office chairs moved around the office by the power of the earthquake… For a moment there I really thought that was the end. I thought I would die there under that desk — yes, it really crossed my mind. 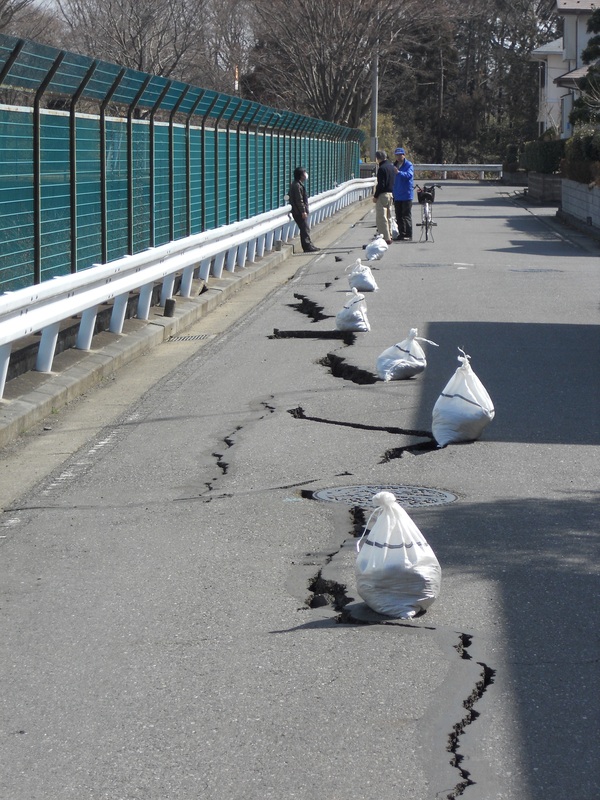 When it finally stopped shaking, we started checking damage caused by the earthquake. No one was injured and we managed to confirm that our families were okay — we used a special earthquake emergency app that lets us contact our family members (it works even if phone call lines are down). Some people tried calling their friends in Tohoku, but no one could reach them. I can only imagine how incredibly scared they were until they knew their friends and relatives living there were safe and sound. I was at home when the earthquake hit, I just came back from school. At first I thought it was just one of those earthquakes that we have once in a while. 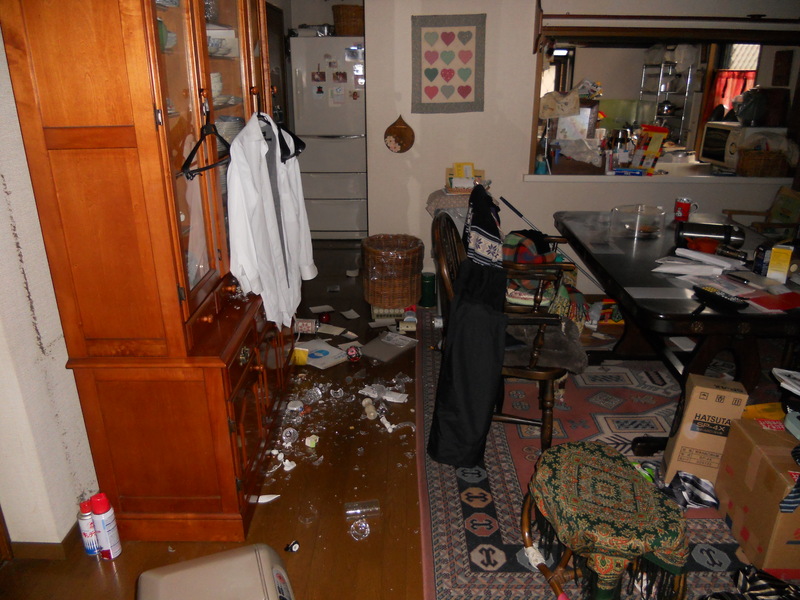 But as I noticed the earthquake was a lot longer than usual ones, my family and I crawled under the dining room table. I live in Kanagawa — the quake wasn’t that strong here, nothing in my house broke and only a few decorations fell off the shelves. 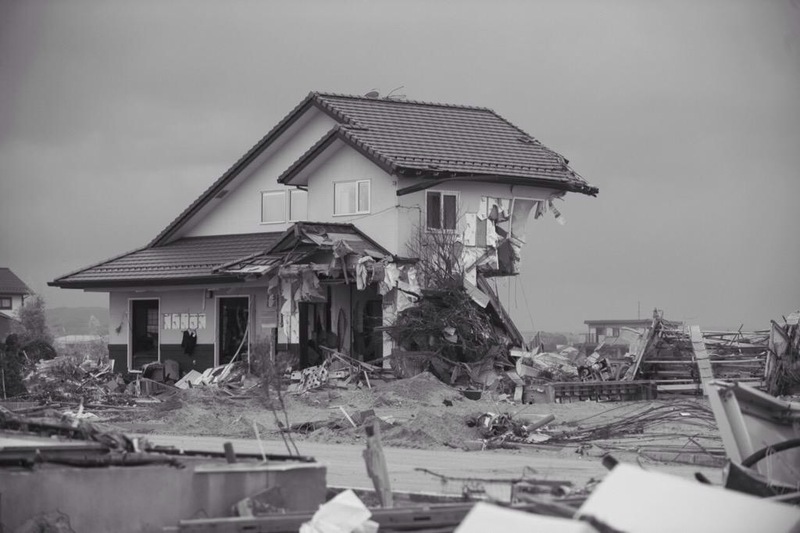 There was no danger from the tsunami where I live, but we had relatives who lived in Sendai so we tried to get in touch with them to make sure they were safe. After a long time we finally had a call from my grandparents and heard they were both safe. I was very thankful that everyone in my family was safe. I saw the news about the earthquake and tsunami on TV and honestly I didn’t feel that what I was watching was about Japan. It didn’t feel real. I didn’t want it to be real. 3.11 is a day I will never ever forget. I happened to have a day off that day. I was on my way to a local supermarket, when I saw a lady and her dog — and the dog was behaving in a strange way. I thought it must have been sick or something. Just when I entered the store, the earthquake hit. I realized it wasn’t just another shake we have regularly. This one was strong and lasted for about a minute. 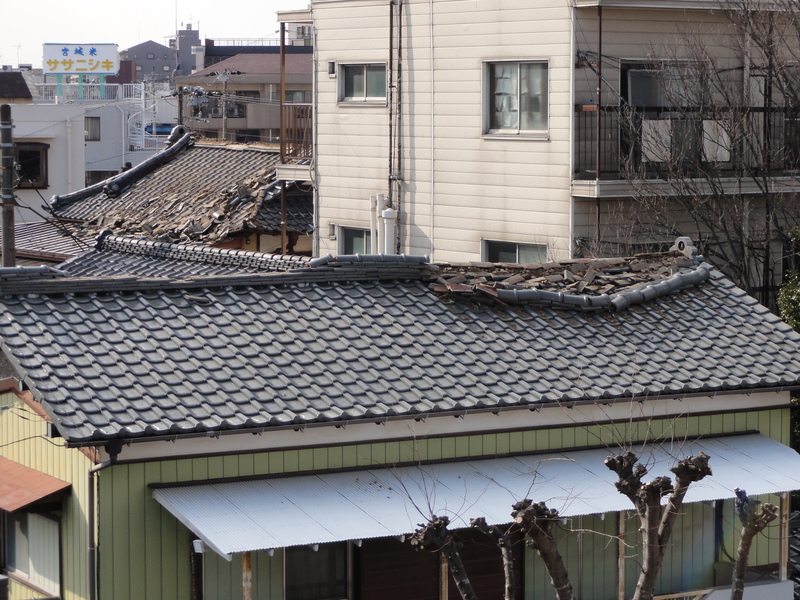 On the way back home, I saw fallen roof tiles from neighbors’ houses on the street. I was already sure that something serious was happening. Mobile reception was already dead, but I could watch TV to see what was going on. TV news at that time was repeatedly saying about causalties in Tokyo and a big fire at the industrial complex in Ichihara city in Chiba but not much about the situation in Tohoku yet. 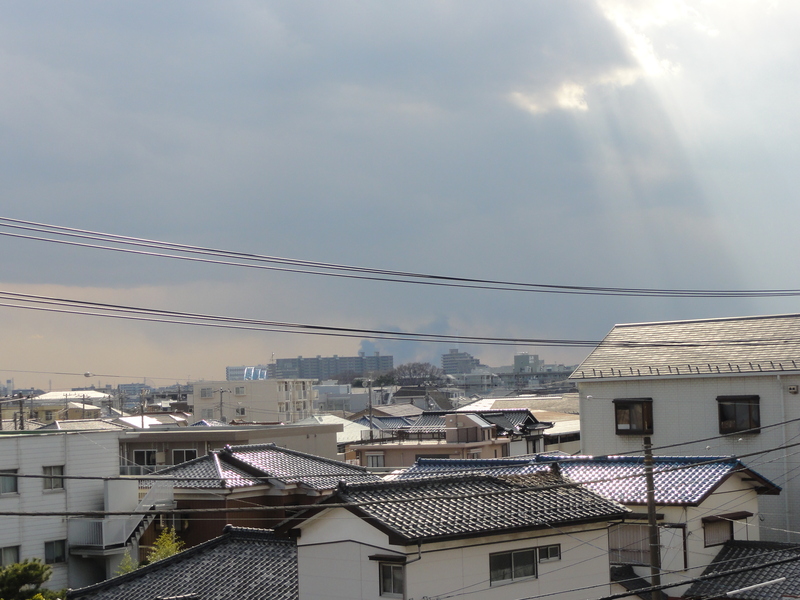 Also, I noticed there was a huge cloud of smoke coming from Odaiba direction… I was worried about Tokyo. TV finally started to stream a live broadcast from Tohoku and that’s when I saw how terrible, how severe the damage was. It was far more serious than I had imagined. Actually I couldn’t believe it was REALLY happening in Japan. Later that night, nuclear plants in Fukushima emerged on the news, but not in much detail (it became huge news the next day). Aftershocks were coming repeatedly every few minutes. 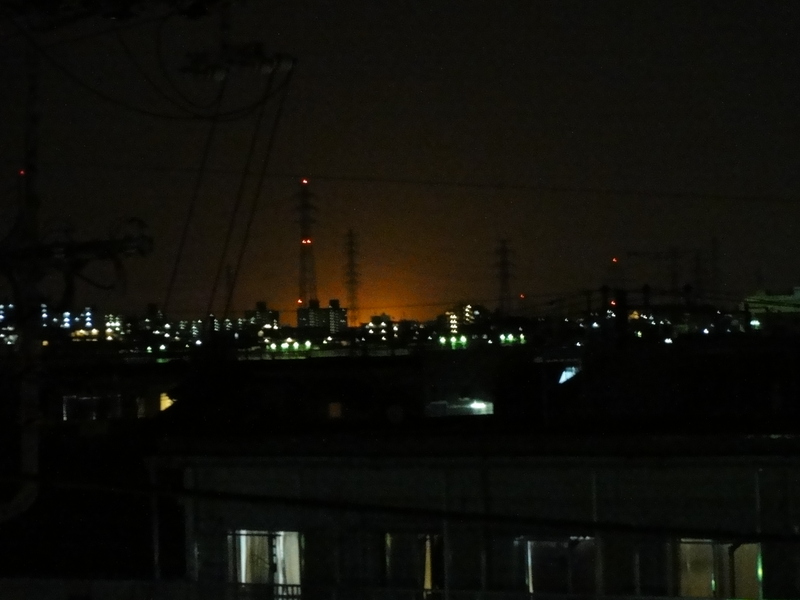 I couldn’t sleep that night, I kept checking updates from Tohoku and the red-tinted sky over Odaiba. I thought I was lucky that me and my family were safe. Before I fell asleep around 5 AM, I remembered the dog moving oddly in front of the shop. Did it feel it was coming? I was in my office in Tokyo when it hit. The quake was long and strong. I got uneasy — even though we have earthquakes frequently, this particular one felt unusually big. I was holding shelves, so the books wouldn’t fall on the floor. I remember I thought about my wife’s family who lives in Nagoya. It was obvious to me that the epicenter was far from where I was, and I wondered if their home was close to it. As the news was coming in via Twitter and other online sources, I and the people around me began to realize the quake was very big. All public transportation stopped and we had no clue when it would be back in operation. Most of us working at the company thought of getting food and drinks. 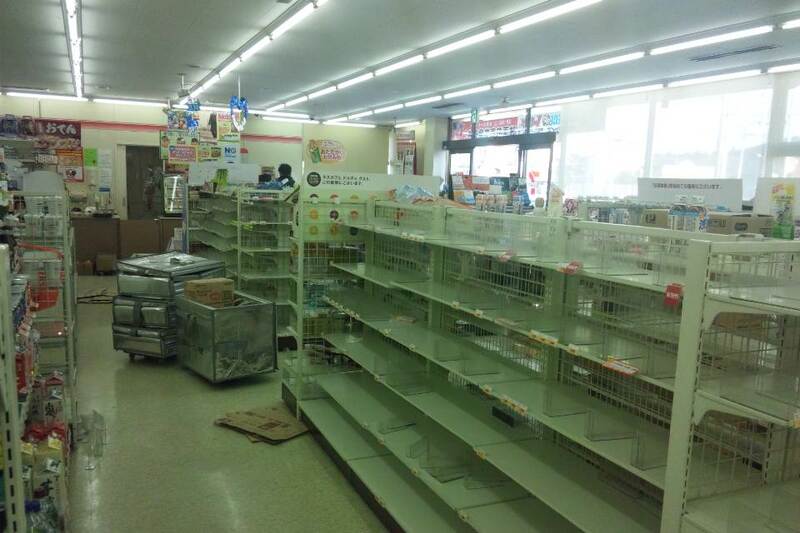 Food disappeared from the store shelves in the blink of an eye. My boss was back from a nearby convenience store with a bottle of wine. He opened it and said we could have it — it turned out that that day was his birthday. My mother was living in a nursing home and I was concerned about her. I tried to reach her so many times but the line was completely dead. Public phone networks were given a higher priority so I got in the long long line for a nearby pay phone. Eventually I was assured that she was safe. Back at the office, some colleagues started drinking, trying to drive the stress away. My boss and I joined them. Many people were chatting loudly about something totally unrelated to the earthquake, partly because of the alcohol, partly because of the still remaining stress. I stayed at the company that night. When I got home the next day, I sat in front of the TV and became speechless for a very long time. I was working at a factory at the time. I was on the 3rd floor when the earthquake hit — it was shaking so much it was hard to even stand. Electricity in the factory went out. It was dark and I felt nothing but fear and anxiety. We evacuated from the building and I drove back home, the power was down and so were all the traffic lights — there was police everywhere directing traffic with hand signals. It was already night when I got back home. There was no electricity — luckily I had a flashlight and some candles. There were so many aftershocks, coming one after another… I was really scared. Mobile phone network was down, I couldn’t call anyone, I didn’t know what was going on. I curled up in a blanket and listened to news on the radio. The thought “Will I die here like this?” crossed my mind many times that night. It was my last day of travelling in Korea. I ate lunch, went back to the hotel and that’s when the earthquake hit Japan. I checked the news — the epicenter was my hometown Sendai. I was in a state of total panic on the way to the airport. I saw it all over the news, it was devastating. All flights to Japan were cancelled — except for ours. Actually, our flight was the last one that was allowed to go. I arrived in Japan at night. Sendai Airport was full of people, I spent that night on the plane as there was simply no space. I managed to go back to Yokohama, where I lived at the time — but I still couldn’t contact my family. In fact all the messages I sent them kept slowly arriving on their devices later, even some messages arrived 6 months after that day! After 3 days I knew they were okay, but they had no hot water, gas or electricity. All stores and gas stations were closed, so they had no other choice but to stay home. Luckily, they could get water from the nearby park. It was pitch-black all around, I even heard of fatal traffic accidents — there was no electricity, people simply couldn’t see each other. Watching news from Tohoku was completely devastating — my friend and I rented a car and decided to go there, even if we knew we might not be able to come back as there was not enough gasoline. But it was better than staying still and doing nothing. Hearing there wasn’t much damage or panic in Niigata, first we went there and packed the car with food and essentials. It took us 15 hours to get to Sendai. The town was completely dead. Fallen rooftops, billboards, cracks in the ground. In Sendai, there was relatively little damage, but still — it was simply horrifying, I couldn’t believe it. The closer to the sea I got, the more damage I saw. The ground, where you knew there were houses before, now was completely empty. You know, I work at an insurance company and I heard from my colleagues in Sendai, that they sometimes had customers with their insurance cards all covered in mud. There’s one more thing I hear happening in Sendai from time to time. There are cases of people asking taxi drivers to take them to places now completely razed to the ground — and as the drivers are on their way, the passengers just disappear. But taxi drivers keep driving until they get to the destination. We believe it’s missing people, who were never found. We believe they just want to go back home. To be honest, thinking about 3.11 is really hard for me. There wasn’t much damage to my house, but people who were affected the most are struggling even now, 4 years later. Whenever someone asks me where I’m from and hears the answer, they go “Were you safe? Was your hometown affected?”. I really think people should just stop, after 4 years I got really tired of this question. Well, I’m okay — but what about people, who went through all that? 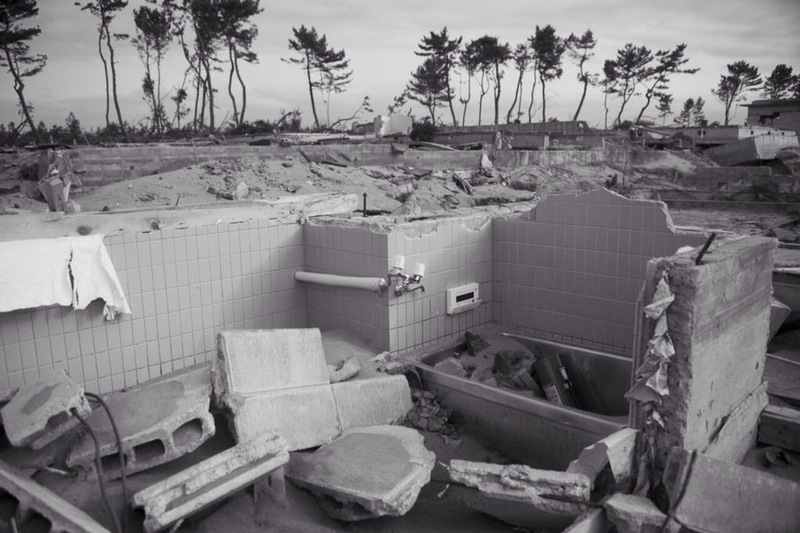 Once asked, all they will remember is scenes of the tsunami taking away everything they had, their property, their loved ones. People make comments about dangerous radioactivity levels and hearing them must be heartbreaking for those who decided to stay — remember not to mention anything like that to them. I wasn’t there when the earthquake hit, so I will never know the pain, the fear, the damage. No one who hasn’t experienced it will ever know or understand. Please go to yahoo.co.jp and search “3.11” if you’d like to do something for those that were in the most affected areas. Yahoo is offering special monetary support to match the number of search requests for 3.11 today. Her story is truly amazing, that’s true. Thank you so much for reading and leaving a comment! Thank you for pulling this together and sharing it. I am surrounded by people who lived through it, and I think the most important thing to remember are not only those who we lost, but those who are rebuilding too. A lot has been reconstructed and there is more to come, and the hardest burden is on those who lost everything and are stitching their lives back together. Naoya’s comments really stuck with me, I think focusing on how things are versus the way things were the moment disaster happened is a better approach when talking to the people who experienced it. Anyways, thank you again for sharing the stories, this impact so many lives. Same here, Naoya’s story really changed the way I think. Everyone was so nice and thanked me for writing it, that’s really amazing. And the photos they shared with me! I was really moved by all the e-mails I got. Thank you for reading and always leaving a kind comment! By the way, are there earthquakes in Australia? Year End Party with Horimitsu The Tattoo Master of Yokohama… aka wabori galore! 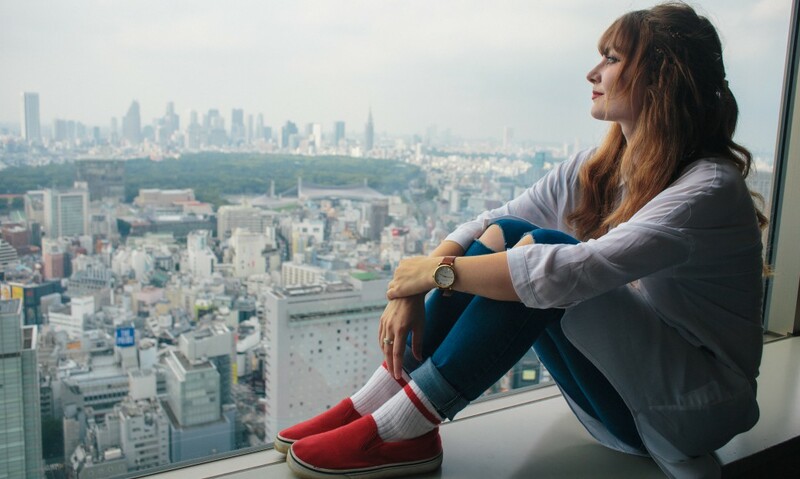 Tokyo journey continues… aka 10 things I like about living here! Traditional Shitamachi Kissaten — Sunny Cafe in Asakusa! Kimono in Asakusa — the ultimate hanami experience! 6 cafés you have to check out when in Seoul! Fashion snapshots in Shibuya / getting scouted for modelling! I teach English in Japan, but I am not a native speaker... How? Polish Festival in Roppongi + a new video! Miyomi 美楽味 -- BIGBANG themed restaurant in Shin-Okubo! Toilet themed restaurant in Ximending, Taipei! Traditional Shitamachi Kissaten -- Sunny Cafe in Asakusa!